Editor’s note: As part of a writing class I took this summer, I had to do a group project addressing a social issue within our society. Part of that assignment was writing an essay that promotes activism to address the issue.The research inspired me, so I decided to share that essay with you. Hope you enjoy! Knowledge, and the desire to use it to better our own lives, as well as the lives of everyone else. This is what has made our species so great. Fire, the wheel, internal plumbing, electricity, refrigeration. All of these creations were the result of intelligent people with an insatiable drive to solve major problems that affected everyone within their communities. As the world progressed into the modern era, more and more of these advancements came from the realm of medicine. For thousands of years, smallpox was a scourge that regularly plagued populations all over the world. In the 19th century, the disease was killing 400,000 Europeans every year. 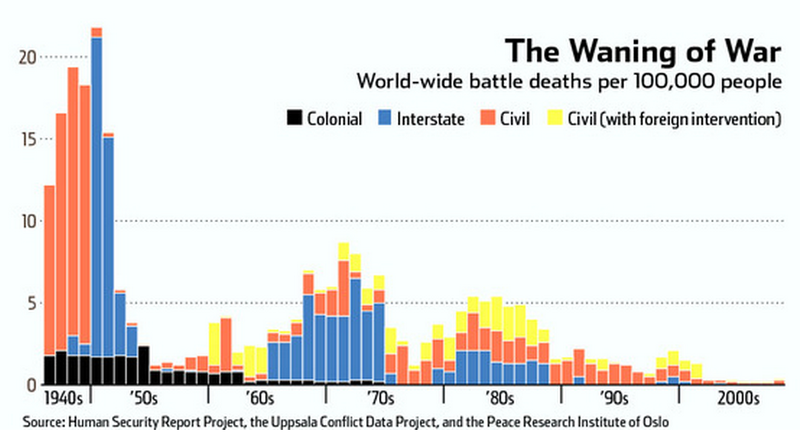 In the 20th century, it accounted for an estimated 300 million deaths worldwide. 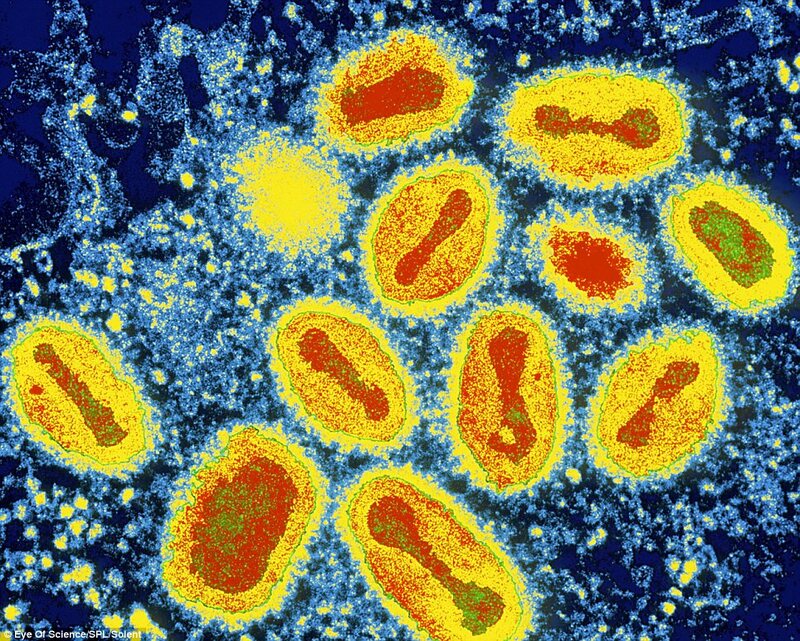 Now, consider this: the vaccine for smallpox was discovered, by a man named William Jenner, in 1796. 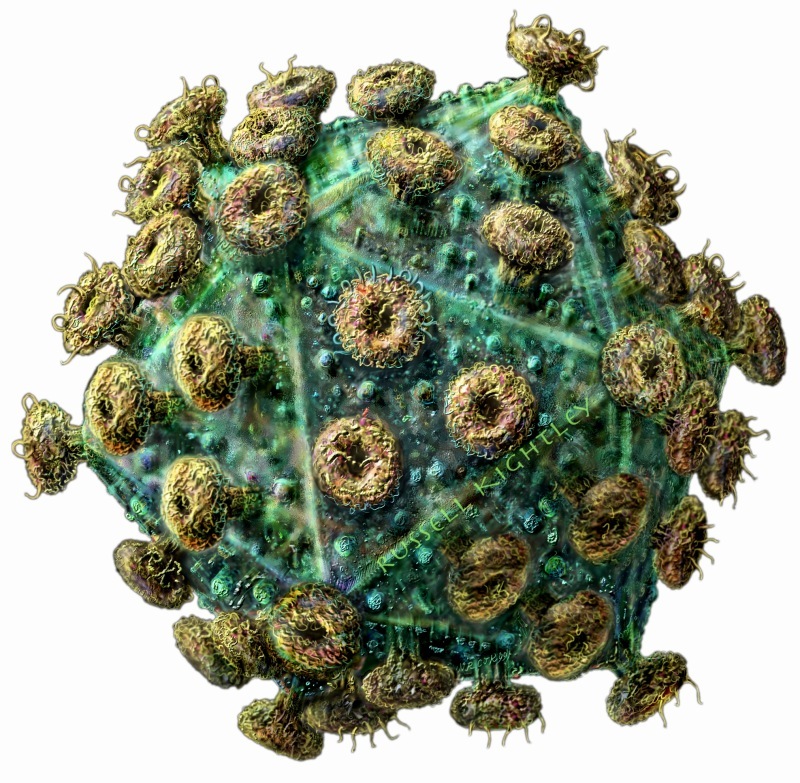 However, it took more than 160 years for the World Health Assembly to pass a worldwide resolution to eradicate the disease in 1959, and another 20 years for the disease to be completely eradicated. There hasn’t been a single documented death from smallpox since 1980, but it took nearly 200 years to make that happen. Our modern world is no different. Every year, 3 million people die from vaccine-preventable diseases, half of that being children 5 years old or younger. Other preventable diseases, like diarrhea and pneumonia, claim the lives of another 2 million children who are simply too poor to afford things like clean water and basic treatment. If you’re keeping track, that’s 3.5 million children dying every year from basic problems that we solved ages ago. Another way to think of it: imagine every kid enrolled in public school in New York City, Los Angeles and Houston dying this year. Imagine, just for a second, all the human potential that we are losing along with these children. I know you may be thinking that it’s somewhat inevitable that developing countries lag behind the rest of the world when it comes to new vaccines, treatments or procedures, so chew on this for a second: out of a list of 18 developed countries, the United States was at the very bottom when it came to deaths from preventable causes. For people under the age of 75, these preventable causes account for 23% of total deaths for men and 32% of total deaths for women. How many more people are we going to let die simply because they lack access to resources that are so plentiful that they are taken for granted by the rest of us? We have to always remember that the position of privilege we find ourselves in only exists because someone at some point in history fought for our right to good healthcare. So now, it is our responsibility, our duty, to use this position of privilege to extend this same basic human right to health to the countless people still living without it, not only in our country but across the globe. Every minute, a child dies from malaria. According to the World Health Organization, 3.4 billion people, nearly half of the Earth’s entire population, are at risk for the disease. 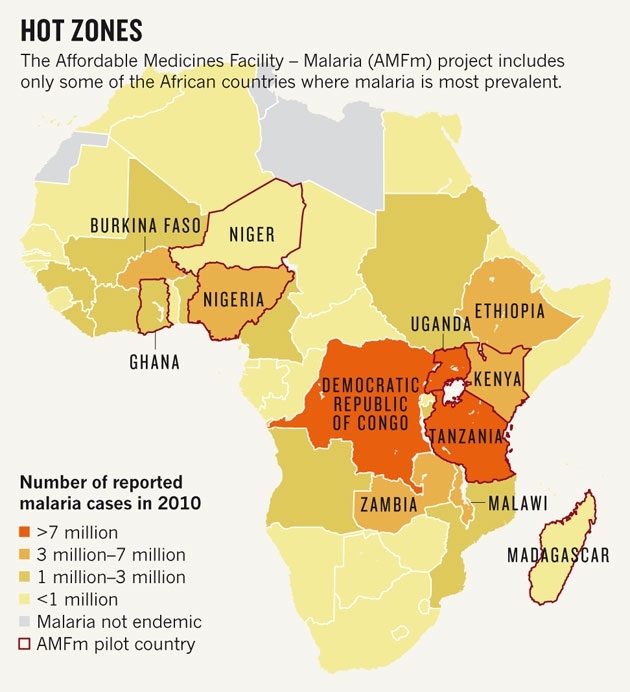 Though malaria rates have dropped by 42% since 2000, the disease is still expected to kill anywhere from 600,000 to 800,000 people this year, with the majority of them being children under the age of five. In fact, malaria is the third largest killer of children worldwide. And while improving medical technologies and practices have been steadily reducing the number of malaria-related deaths, there is no proven vaccine against the disease. But a promising new vaccine created by pharmaceutical manufacturer GlaxoSmithKline (GSK) may be about to change that. The vaccine can’t prevent every single case of malaria, but it has proven to have a very significant impact. During multiple trials of the vaccine, researchers found that on average about 800 cases of malaria could be prevented for every 1,000 children who got the vaccine. In the most advanced of these trials, 1,500 children in several different African countries received the vaccine. 18 months later, researchers found that the vaccine had nearly halved the number of malaria infections in small children. The testing also suggests that the vaccine’s impact becomes even more pronounced in areas that have particularly high infection rates. For example, in a number of Kenyan cities, the researchers were able to prevent about 2,000 cases of malaria with only 1,000 vaccines (many people in the area contract the disease multiple times). GSK has now applied for regulatory approval of the vaccine from the European Medicine’s Authority. This is the first malaria vaccine to ever reach that step. Read more from the BBC here. If you want to learn more about malaria, these 10 quick facts about the disease from the World Health Organization is a good place to start. As a boy, Bart Weetjens loved to play with his pet rats. One thing that always stuck in his memory was the rat’s strong sense of smell and the ease at which they could be trained. Bart recalled these skills years later as a student at the University of Antwerp in Belgium, where he was working on an analysis of the global land-mine detection problem (ie. how to find all of the unexploded mines left over from countless wars around the world). Bart felt that rats could provide a cheaper, more efficient and more locally available solution to the land-mine problem, so he began to do early research on this concept in 1997. Bart called his project APOPO, which stands for Anti-Persoonsmijnen Ontmijnende Product Ontwikkeling (English translation: Anti-Personnel Landmines Detection Product Development). The organization moved to Mozambique in 2000, where they partnered with the Tanzanian People’s Defence Force to help mine-clearing operations in that country. 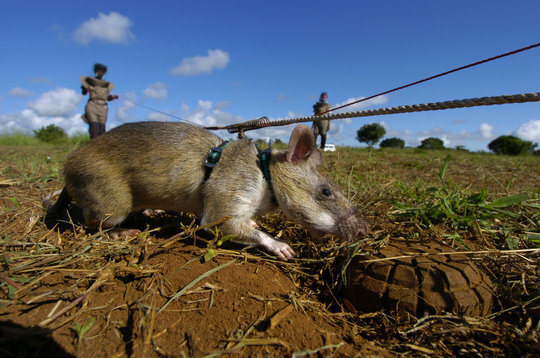 By 2006, APOPO’s HeroRATS were also fully integrated into land-mine detection programs in Tanzania. In 2010, APOPO began operations in Thailand as well. The reason that these rats are so good at detecting land-mines is that they have an extremely acute sense of smell, which allows them to easily identify the scent of TNT (after being trained to recognize it). Early on, Bart realized that the HeroRATS’ amazing sense of smell wasn’t being fully utilized. In 2003, he entered APOPO in the Development Marketplace Global Competition sponsored by the World Bank. His idea: using the rats to help detect tuberculosis as well as land-mines. APOPO won the competition, and in doing so received the necessary funding for their research into training TB-detecting HeroRATS. TB is one of the deadliest diseases in the world. About 9 million new cases are reported annually, and the disease kills nearly 2 million people each year. The HeroRATS give health workers a huge advantage over humans when it comes to detection of the disease. 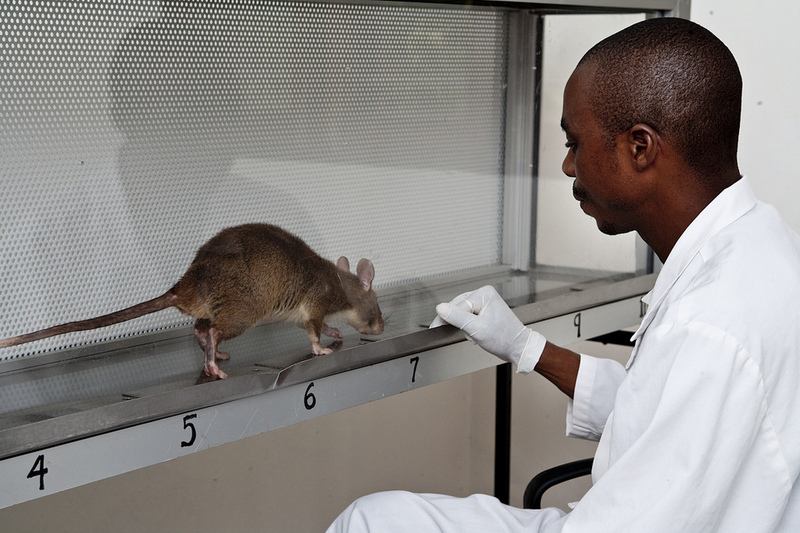 A human lab tech can only process about 40 samples in a day; the HeroRATS can do that same amount of work in only seven minutes, and they often find TB-positive samples that the human technicians missed. To learn more about the APOPO organization’s land-mine and tuberculosis detection programs, you can visit their website here. Today, I woke up and skimmed the world news headlines. 80% of the stories were about the Israeli-Palestinian crisis or the Malaysian aircraft shot down in Ukraine. The other 20% was mostly news on the Air Algerie flight which disappeared earlier this morning and ISIS’s exile and persecution of the Christians in Mosul. It was a very depressing experience. But then, I thought to myself: are things really that bad? And I realized, the answer is undoubtedly NO. What we must realize here is that it’s only in the last 10 years or so that the average person has really had unlimited access to news and information with the emergence of the internet. 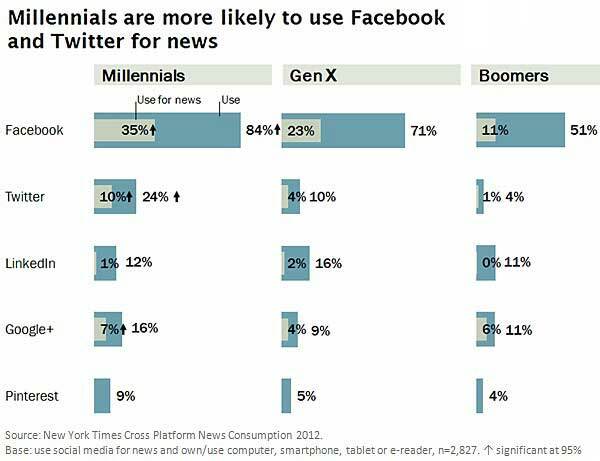 And it’s only in the last five or so years that social media emerged as a platform to share news. It may seem like more bad things are going on, but really we are just more aware of world events than we have ever been in the past. Ignorance may be bliss, but awareness solves problems. It can be hard to read about the bad things happening in other places, but often times, the only reason those bad things persist is because not enough people around the world have been made aware of them. And, with all that being said, the world is actually getting better– much, much better. Here’s a few pieces of evidence to support that claim. First off, our health and medicine is improving at an extremely fast pace. 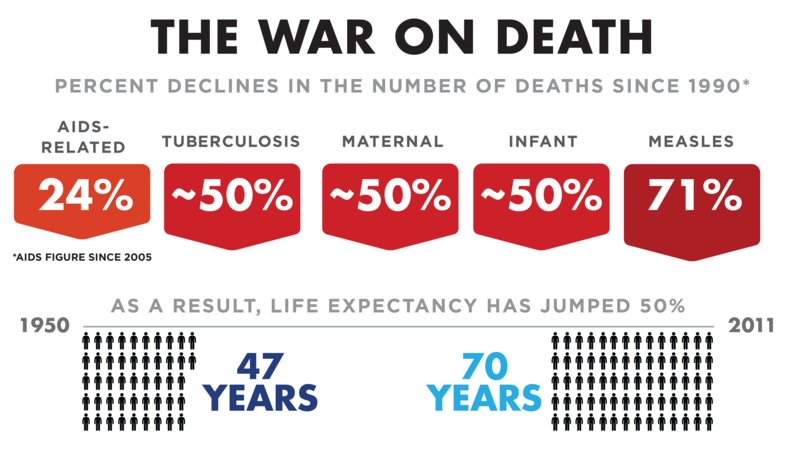 Infant mortality is down about 50% since 1990, and we have significantly reduced the number of deaths from treatable disease like measles and tuberculosis as well. A second indicator is the rapid decline in poverty worldwide. 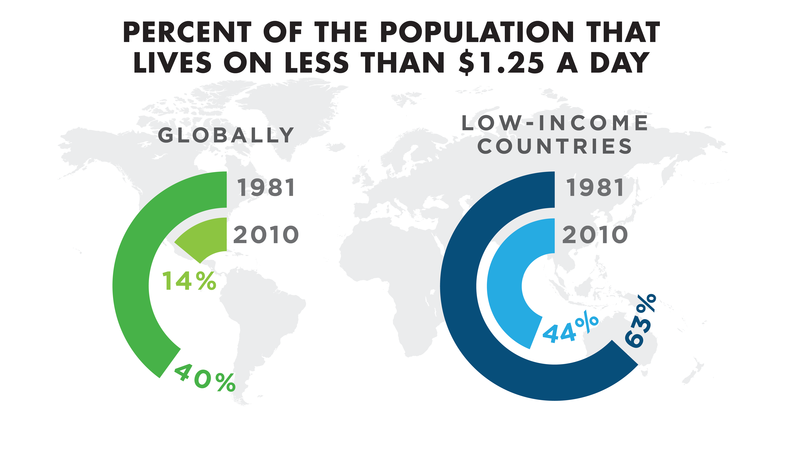 Since 1981, the proportion of people living under the poverty line ($1.25/day) has decreased by 65%. 721 million fewer people were living in poverty in 2010 than in 1981. We can change the world for the better. We are changing the world for the better. 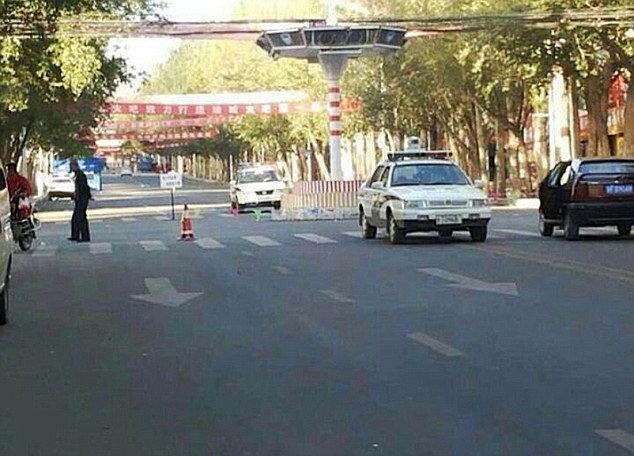 The Chinese government has sealed off about 30,000 residents in parts of Yumen, a city in northeast China. The move comes a week after a 38-year-old man died from the bubonic plague (also known as the black death). The man is said to have contracted the disease after coming in contact with a marmot- a rodent similar to the groundhog. Residents have been told they cannot leave the area, and police have set up roadblocks to enforce that decree. Yumen has a population of 100,000 people, but only certain portions of the city have been isolated. Besides the 30,000 people sealed off, the government has also put 151 people who had direct contact with the man under quarantine. There is no word yet on how long the situation will last, but city officials have said they have enough rice, flour and oil to supply the 30,000 residents for a month. Although the bubonic plague is rare in China, it is not totally unheard of. 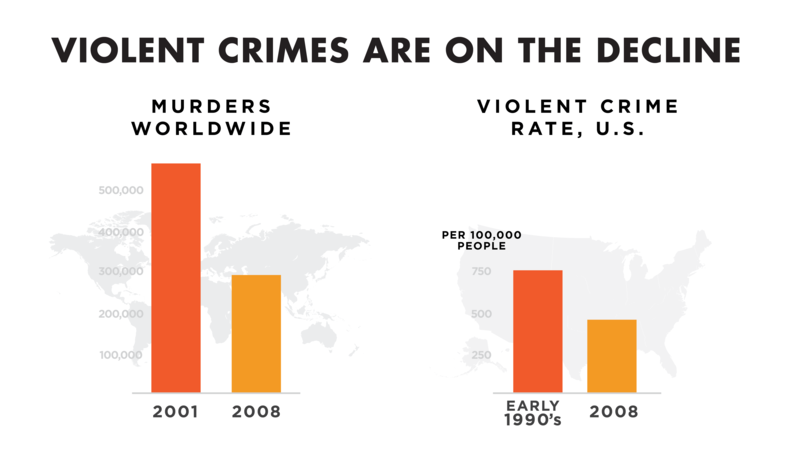 Since 2009, there have been an estimated 12 cases in China, with four deaths. The plague can work extremely fast, sometimes killing a person within 24 hours of the initial infection. However, modern antibiotics have proven effective in treating the disease if it is detected quickly. 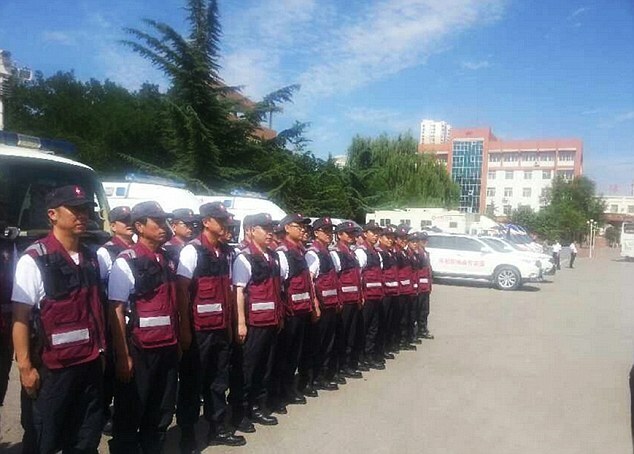 Beijing officials say the chances of the outbreak spreading are low. Check out the original story from the Daily Mail here. The technology will allow doctors to repair the human genome in a new way, and will also be invaluable in the treatment of hereditary and viral diseases as well. We have known for years that HIV particles can be turned into transporters of genetic information. However, this new discovery that they can also be altered to carry proteins that can have a direct effect on infected cells, rather than just on the genes, is huge. Read more from Aarhus University News here. If you’re not familiar with the TED organization, you really ought to be. TED, which stands for technology, education and design, is a series of conferences where great minds give presentations (known as TED talks) on the topics I just mentioned. While browsing videos of these presentations on their website, TED.com, I stumbled upon this awesome illustrated video which shows what happens inside your body when it is attacked by a virus. It’s a great way to understand a pretty complex scientific process, plus, the illustrations are awesome! Enjoy! Lesson by Shannon Stiles, animation by Igor Coric.